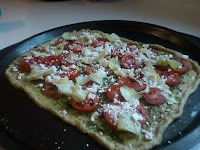 Tried this dish created by Martha Stewart from my new magazine "Whole Living." It was another great way to celebrate the pumpkin season in a bowl of warm goodness. Place beans in a medium saucepan and cover by about 2 inches of water. Bring to a boil; remove from heat and let stand for 1 hour. Drain and rinse. In a stockpot over medium-high heat, warm olive oil. Add onion, garlic, serrano chile, and 1/4 tsp. kosher salt. Saute until onion is translucent, about 5 minutes. Stir in hot or sweet paprika and tomato paste; cook for 1 minute. Add beans, chicken stock or water, and cilantro. Bring to a boil. Reduce heat to low and simmer, partially covered, for about 35 minutes. Peel, seed, and cut half small sugar pumpkin. Add pumpkin to bean mixture, plus additional stock or water to cover, and simmer, partially covered, until tender, about 25 minutes more. Remove and discard cilantro. Serve immediately. You will love this subtle flavored harvest pasta dish. Feel free to get creative and add chicken Italian sausage. Serve warm with toppings sprinkled on top. We avoid synthetic dyes in our household. Manufacturers put them in everything from pie crust, to cereal, to mac-n-cheese (not my Annies mac though:). "A recent recent report for the Center of Science for the Public Interest, suggests that these dyes have consequences when it comes to hyper activity in children and cancer". I've had this topic on my list of things to blog about for a while, so when this article came out last week I wanted to make sure and share it with you all. Please take the time to read the Full Article Here and remember to reduce your exposure especially with the holidays on the horizon. I was a bit nervous to trust my creativeness with this recipe, but they came out AMAZING. Enjoy! Trying to figure out what to do with all that zucchini from the garden? Fret not. 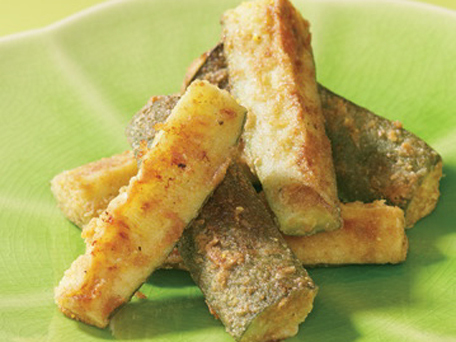 Your family will love this healthy version of fried zucchini. Makes a great appetizer or side dish. Enjoy! 2. Combine flour, cornmeal,flax, salt and pepper in a large seal-able container. Dip zucchini in egg white, shake in the container to coat, and arrange, not touching, on the baking sheet. Coat all exposed sides with cooking spray. We don't eat a lot of beef in our household, but let's face it- sometimes you just want a juicy burger or steak! When that time comes we eat grass-fed beef. I'm not sure why companies brag about their cow's being corn-fed, but cows are meant to graze on pastures. Not stuffed on a feed-lot, pumped with antibiotics, corn, and hormones so that we can get them onto our tables as fast as possible. While grass-fed beef can be pricey, it's doable if you reduce your consumption. Read below for all the benefits of grass-fed beef. 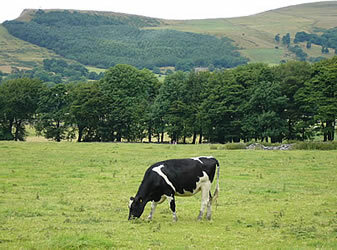 Below is information on where to buy and where to dine on Grass-Fed beef. The information is specific to the Twin Cities. I'd love to hear from you about other locations in the US, so please share. A state-by-state directory of more than 800 pasture-based farms, including farms that ship meat if you can’t find any in your area. An online directory of thousands of family farms, restaurants, and stores selling sustainably-produced meat, dairy, and eggs. Grass feeding isn’t required for all outlets listed (though many do), so check descriptions. Search for restaurants or producers offering sustainable foods, including grass-fed meats, in your area. The U.S. Wellness Meats online store offers 55 different cuts of grass-fed meat. A recipe section includes suggestions by their master chef to make the most of your buy. The online store sells combo packs for special events—everything from a brand-your-own steaks party pack to a summertime grill pack. Here's a few great giveaways and coupons to brighten your Monday. 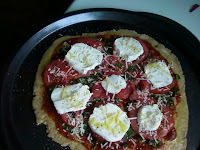 This week's recipe comes from Good Housekeeping magazine. Get the great taste of take-out without all the extra calories and preservatives with this yummy Asian inspired DIY dish. whisk vinegar, soy, peanut butter, ginger, and water until smooth. 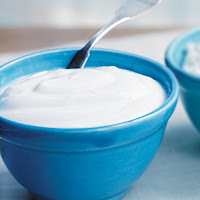 Did you know that plain low-fat yogurt is a great healthy substitute for many not-so-healthy recipe add-ins (ie; sour cream)? I discovered this while making a box of Annie's Organic Mac and Cheese. They suggest substituting yogurt for butter/milk, so I decided to try it, and it was great! Since then I've used it in many pasta dishes, casseroles, and dressings. It's lower in calories and fat and gives you an extra protein boost. What's so great about yogurt anyway? Friday Night Lite - "Healthy" cookies that actually taste good! Happy Friday! Today's Friday Night Lite comes from my family's favorite cookie recipe. 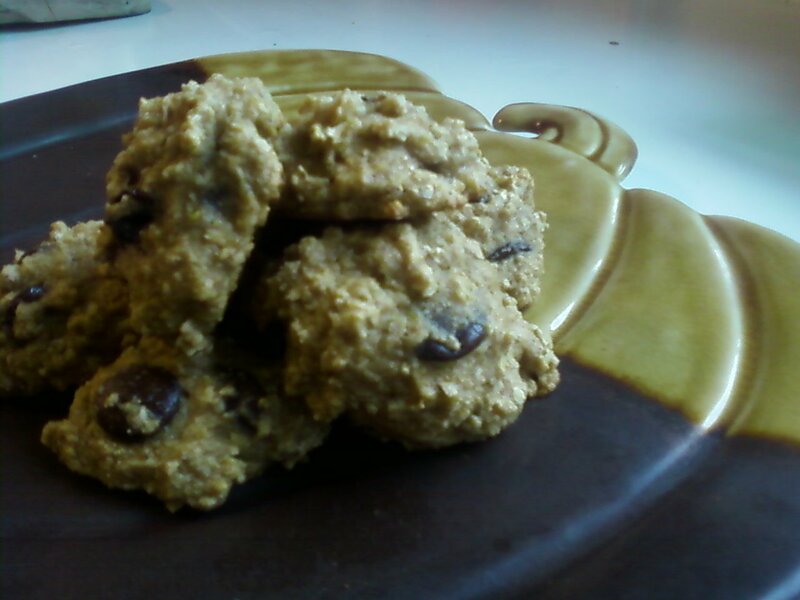 I've been perfecting this recipe for a few years, and have come up with what I think is a pretty darn good "healthy" cookie. So, grab your apron and let's bake. First let me start out by saying that it's always healthier for your body, the environment, and the local economy to buy locally or homegrown whenever possible. However, for many reasons this can't always be done, and many people don't realize how many organic offerings are available at places like Costco. Below is a list of a few key staples I usually purchase at Costco along with their approximate savings. Total Savings: $15.70. And who doesn't like a good bargain?! You may be thinking "I don't want three cartons of milk-it goes bad before I can drink it." Fret not; organic milk stays fresh much longer than conventional. Last weeks Friday Night Lite was such a hit, I've decided to make it a recurring "event". This Friday's dinner? Homemade Pizza with whole wheat flax dough. 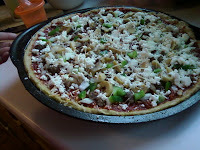 This week we did chicken sausage and onion pizza. Get creative with your toppings and sauces! If you need some inspiration I've included a list below of some of the pizza's we've made in our household along with the recipe for our crust. 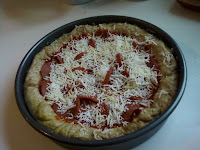 Special Note: I always use organic or homemade sauce, organic chicken, and NO NITRATE or Preservative sausage/pepperoni. 1. Mix yeast and ¼ cup warm water (and 1 tsp sugar, molasses or honey) and let sit until foamy and doubled in size (about 10 minutes). 2. When yeast is ready, stir in the remaining water, olive oil and honey. Mix into flour and knead to create a dough (You may need to add a bit more flour if dough is too sticky). 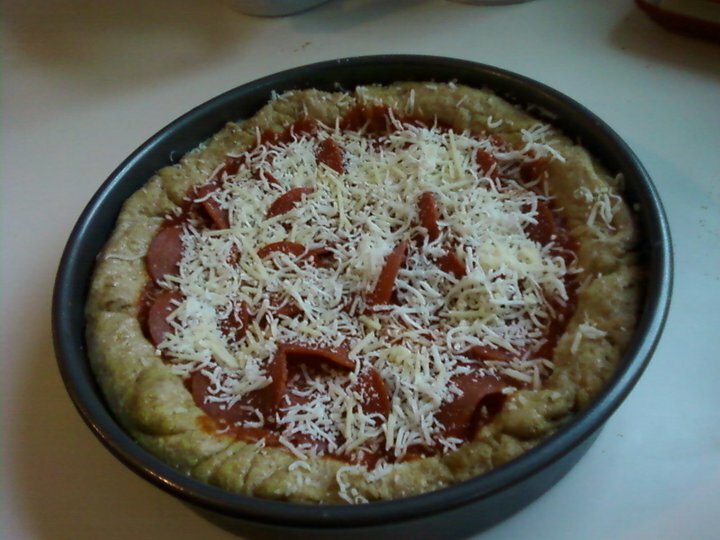 The dough will make two large thin crusts, or one thick crust. 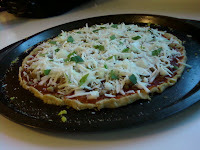 The whole grain flavor can overwhelm the toppings, so pick thin vs. thick accordingly. 1. Form the dough into ball(s). 2. On a flat surface sprinkled with loose flour or corn meal, press down in the middle of the ball to make a bowl. 3. Do your best to make a circle. Thick crust: use your fingers to flatten outward from the middle. Thin crust: use a rolling pin. 4. Transfer to pan and poke some holes with a fork to prevent air bubbles. *Add sauce and toppings, and lightly brush uncovered crust with olive oil.